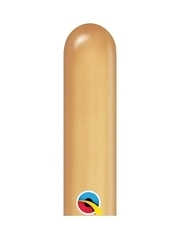 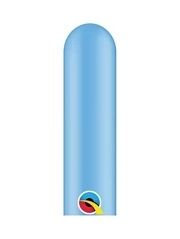 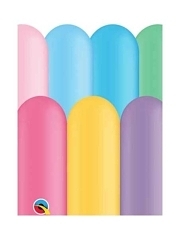 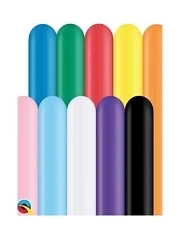 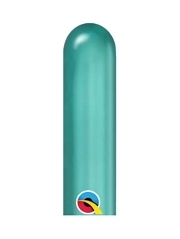 Qualatex 260Q balloons are 2" wide and 60" long when fully inflated. 260Q twisting balloons are designed to be used with air only and are not meant to be used with helium. Qualatex 260Q balloons are made of natural rubber and are biodegradable. 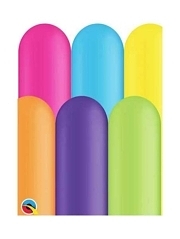 There are many uses for these balloons but the main use would be creating balloons animals, swords and flowers. If you are looking to start a career in balloon twisting, these Qualatex 260Q balloons are the balloons you want to start with. 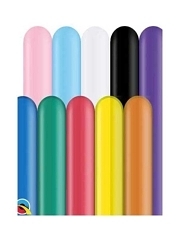 260Q balloons are the standard balloon size for creating fun balloon art at kids parties and events. 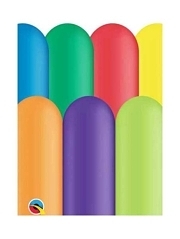 260Q Twisting Balloons For Sale At Discounted Prices! Add 260Q’s to your cart faster! 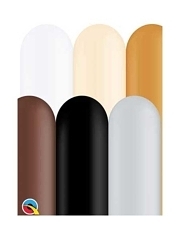 CLICK HERE to goto our Bulk Add To Cart page! Don't forget to bookmark our website and check back with us often to view new styles of Qualatex 260Q Twisting balloons as they become available.